The U.S. District Court for the District of Alaska on March 29 overturned President Donald Trump’s executive order issued in 2017 to undo a ban on oil and gas drilling in most of the Arctic Ocean. The court ruled that only Congress has the authority to revoke the ban imposed by former President Obama in 2015 and 2016. Alaska Governor Michael Dunleavy, a Republican, expressed disappointment, citing implications for the economy. Dunleavy said that responsible development of Alaska’s offshore resources can create jobs, revenue, and economic opportunity for decades. “One president should not have the power to lock up Alaska’s resources in perpetuity,” Dunleavy said. The ruling is a win for environmental groups, which have voiced concerns over the potential for devastating oil spills and threat to coastal economies. Earthjustice commended the decision, saying that it restores permanent protections for the Arctic and important areas of the Atlantic. Obama’s moves withdrew almost 120 million acres in the Arctic Ocean, which represents about 98 percent of the U.S. territory of the Arctic Ocean, from oil and gas leasing, according to Earthjustice. The ruling throws into question the Trump administration’s five-year leasing program for the Outer Continental Shelf. The U.S. 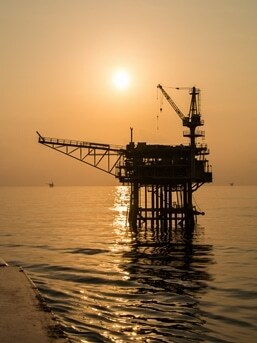 Interior Department proposed to open more than 90 percent of the outer continental shelf acreage for oil and gas development under its 2019-2024 draft program.